Do you feel that? That sensation of pride, enthusiasm, and confidence that just surged through you like a jolt of caffeinated electricity? 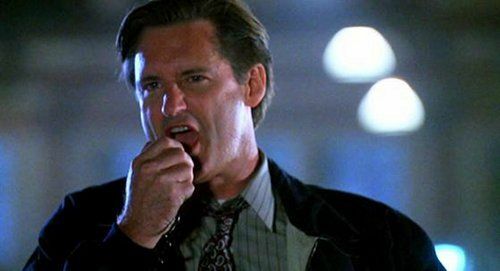 That’s your morale being raised by the rousing speech given by American President Thomas J. Whitmore, played by the highly skilled character actor Bill Pullman in the blockbuster film Independence Day (1996). With a speech like that you’ll be able to do anything from clearing a building to destroying a massive alien mothership. That is the power of morale. So, you want to know How To: Morale like renowned American actor Bill Pullman. Morale, of course, has a long history. In English, the term entered our language in the 18th century from the French word moral. The Merriam-Webster dictionary provides one definition of morale as being “the level of individual psychological well-being based on such factors as a sense of purpose and confidence in the future.” At the same time, Encyclopedia.com provides the definition of morale specifically regarding soldiers as being “a state of mind that either encourages or impedes action.” From these definitions we can surmise the utmost importance of morale. Renowned American Actor Bill Pullman. With your morale soaring from that initial speech provided by renowned American actor Bill Pullman, I can only imagine you are biting at the bit to learn how best to provide this same exact feeling of elation to your fellow members of the unit. And don’t worry Private Fresh, you don’t need to be Sergeant Oldtimer to have a positive effect. So, with that in mind, let’s talk about the benefits of high morale, the consequences of low morale, and the best methods to maintain high morale. First and foremost, let’s come to the agreement that most people want to feel belonging. According to Maslow’s Hierarchy of Needs, a theory in the field of psychology proposed by the aforenamed Abraham Maslow in 1943, the human desire for belonging is the third sought after need, following physical safety and physiological needs. What this means is that once someone is getting all their physiological needs met, such as needs for sustenance and sleep, and then when they feel appropriately protected from harm, they immediately seek belonging from their social group. In questions of morale, this directly translates to a need to feel apart of the unit in which they belong to. In this light we can determine that high morale directly relates to increased unit cohesion and effectiveness. But, the benefits of high morale can go well beyond statistics and numbers; high morale often results in creating better gameplay results as squadmates pay more attention, communicate more often, and work together more easily. Maintaining high morale, then, can decide the difference between failing to save the human race or instilling suicidal bravery in a lone pilot to bring down the alien mothership single-handedly. In the same way, within the confines of the 29th this can inspire one squad member to play more effectively, committing to actions like defending an objective that may put their own life at risk in favor of the team’s victory. In addition to suicidal bravery, high morale can instill other, just as important behaviors in a squadmate. When morale is high, attendance goes up; no doubt, a squad member who feels belonging with their unit will be more inclined to show up in the first place. Additionally, members who have high morale are more likely to be inspired to take part in non-combat related jobs or to further recruit to bolster the ranks. Moreover, there are numerous benefits beyond those listed here that can affect members in individual and unique ways that can’t even be expected. Of course, high morale is but one side of the 1939 minted silver dollar coin that is Morale. Low morale, just as high morale, can be devastating. As said by the not-as-renowned-as-Bill-Pullman Chiang Kai-Shek, “War is not only a matter of equipment, artillery, group troops or air force; it is largely a matter of spirit, or morale.” Despite his non-actor status, the non-fictional President of the Republic of China speaks true; no matter how many AITs you’ve been provided, how many vehicles are assigned to you, and how great the defensive position to be held, a force with cripplingly low morale will fail to achieve victory and not just due to things you might expect. Imagine, if you will, a scrim day where the platoon in question, suffering from CLM (Chronic Low Morale) Syndrome, meets an enemy ready and willing to fight with their high morale visible in the very pixels of the game. Where the enemy has deployed at full strength, the squads of each platoon raggedly arrived in poor order and undermanned. Months of training were wasted on disinterested and uncommunicative platoon members with many having missed some or all of the trainings due to being offline in War Thunder during drills. Missing spots in the ranks weren’t filled because no one was inspired to recruit, and jobs weren’t filled because even the lowliest private couldn’t be bothered to accept a position practically handed to them. In this potential dark future, as horrendous as it is, we see the threat of low morale as plain as day. Does this vile vision of a possible future shock, disturb, and sicken you? If not, stop reading; you have already fallen too deep into your CLM Syndrome and there is little that renowned American actor Bill Pullman or I can do for you. But, if you fear that possible future and see the wisdom in what Pill Pullman and Chiang Kai-Shek have to say, read onward. Morale can be brought up and maintained at all time highs by active action by even the lowest, newest, freshest members around. That’s right, Private Fresh, this is your time to shine. The easiest way to increase and maintain high morale is through the tried and true way of being friendly with your fellow 29thers; with as little as three muscles moving to press your talk key and only some expended oxygen, anyone from Sergeant Oldtimer to PFC D. Rainbow can make Private Fresh feel welcome to their new environment. Friendliness can range from something as simple as talking to others to pubbing or even playing in non-29th games with each other. Developing a repertoire with other members of the unit will increase the likelihood that more members will stay longer and become more active in the unit due to friendships generated over their time present. Being able to keep a level of banter going without threatening the cohesion of the unit during combat can go farther in this; squadmates who joke in the foxhole stay in the foxhole, so to speak. In the confines of leadership, morale can be instilled through being present, visible, and open; Bill Pullman’s speech would’ve been useless if he made it to no one and didn’t broadcast it around the world for all to hear. It is up to members of leadership to be the anchor by which other members of the unit might take part in increasing overall morale. Without a present and active leader efforts to increase morale not only grind to a halt but begin to take not just small steps, but great leaps backwards towards a tailspin of low morale. Individuals in leadership worried about low morale in their respective units should seek to make their presence more known, to increase camaraderie among their units by example, and take an active role in the 29th that inspires others to do the same. In addition, keeping up with paperwork despite how laborious it can be will give motivation to members through promotions and awards to continue excelling and striving for new goals. Even taking the time out to talk with a member over steam, asking what their goals are, and offering to help facilitate it can go a long way. Above all, showing a level of knowledge about your unit through genuine quotes that come off as actually knowing the person rather than being some hackneyed munitions-grade sentence of vague approval can make the difference between Private Fresh becoming PFC D. Rainbow or becoming Bored [29th Ret.]. Camraderie; No. 9 Commandos and American Rangers in Anzio, Italy. All of the above and more all lead to the creation of Unit Identity, the core of creating a self-sustaining high morale high. 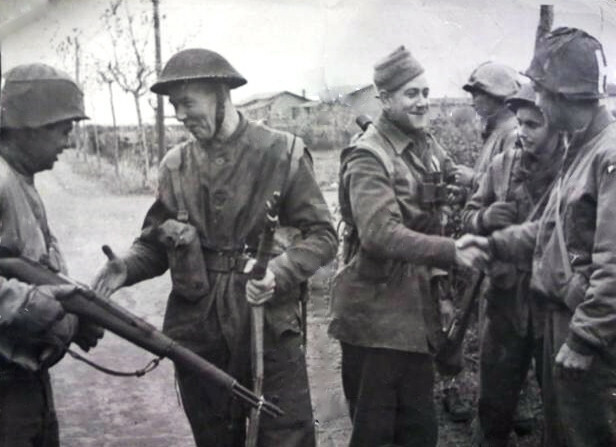 Unit identity is the ultimate way of maintaining high morale within a unit and can take a newly formed squad in a whole new platoon made up of new, fresh faced Privates and forge it into a highly effective, incredibly cohesive, and particularly friendly squad loaded to the brim with veteran PFCs. This can be further strengthened with mottos that all agree on, so-called extracurricular events outside of scheduled drill times, and a killer badge that everyone can point to with pride. It is with all this knowledge that renowned American actor Bill Pullman, Chiang Kai-Shek, and I leave you ready to take to your squads, platoons, companies, and the 29th at large, so armed with the skills to increase morale. All three of us solemnly hope that your efforts to better the unit are further increased by what you have read today and that you have indeed learned How To: Morale. Read this while waiting for a bus and on the journey. Good read Cpl. Crane. Brilliant work Cpl., keep up the awesome writing. Thanks for giving it a read, hopefully it was a mess!